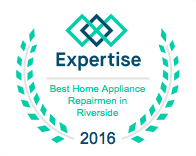 The Nest Thermostat Rancho, Montclair, Claremont, Cucamonga & Upland, CA - All Air Appliance Masters, Inc.
Meet the only thermostat that improves with time. The Nest Learning Thermostat programs itself in a week and turns itself down when you’re away. Nest helps you understand how your home uses energy so you can save more. Nest is the first thermostat that learns from you. Teach it well to stay comfortable at home and save energy when you're away. A clear voice when something goes wrong. Not only does Nest Protect sound an alarm, it also speaks to you with a human voice. It tells you if there’s smoke or carbon monoxide, which room it’s in, and if you’re in immediate danger. So you can quickly figure out the best way to exit your home and avoid running into fire on the way out.